Commercial contractors face different challenges than residential builders do because they operate in the business-to-business realm. When operating in that business-to-business environment, a commercial builder’s website needs to include certain essentials to portray the advantages and differentiators involved with the industry. We have compiled a list of ten key aspect involved with web design for commercial contractors, continue reading below for tips. Bios should always be concise and focus on what each member of the company brings to the business. It is essential to include the title of the position the individual holds, his or her past industry experience, education, significant attributes and successes that are applicable and the duties and tasks that they are depended on to complete. Also, depending on one’s preferences, one could also include some fun information like the employee’s favorite movies, hobbies, etc. The idea is that you want to portray to the world why this individual was selected for the particular position. Visitors to a commercial construction website will want to have reference points to build upon. This is why including a portfolio of projects on your website is a good idea. When a potential customer is viewing your company, you want to give them a strong idea of what you are capable of. When arranged correctly with the help of a professional website design team, a portfolio of projects can result in added business for your website. Think back to a time when you visited a website that had low quality images featured on its page, what impression did it give you? Typically, low quality photos immediately give off an impression of low quality service, no matter how reputable the actual company may be. For this reason, it’s important to make sure that the photos you are using on your website portray the correct image. If you want to use photos of your work on the website, it would be worth it to hire a photographer to take professional images of your work. Case studies give consumers the confidence to place their trust in a company by providing tangible evidence of the benefits a company offers. Case studies provide great material for multimedia, which can result in the development of a broader and more interactive audience. On top of that, case studies can be referenced multiple times by a company and drive SEO by using keywords. Customers can use past case studies to find examples of what they would like to accomplish. Using the same logic behind case studies, customer testimonials and lists of high profile clients and projects instill trust in potential customers. In the commercial construction business, if a potential customer were to see a business that they respect under a list of your clients, it might inspire them to work with you. Honest customer testimonials are extremely valuable, and with the help of a good PR team, they can all be rounded up into an aesthetically pleasing, informative place. Calls-to-action are one of the most important aspects of lead generation and they can be utilized in nearly every facet of marketing. From social media, to trade shows, to emails, calls-to-action can bolster the effectiveness or a marketing strategy. The main objective of a call-to-action is to grab the attention of visitors to the website right away. It’s best to make your call-to-action with aesthetically pleasing large text, giving it proper spacing to attract the eyes of people on the web. 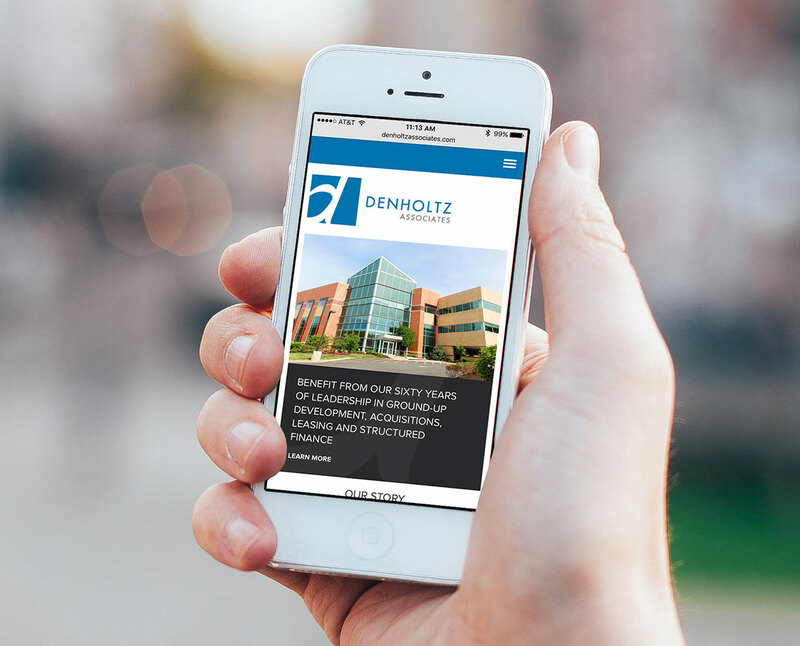 In today’s business climate, it’s essential to have a website that works on mobile devices. Responsive website design is so important because it allows for stats on mobile devices to be tracked and business to be done on the go. Every now and then, one will stumble upon a website that looks great on a desktop but terrible on a mobile device. This is why it’s important to rely on a professional website design company to handle your website. Brand messaging should be looked at as the one thing that ties every piece of content about a commercial contractor’s business together. Obviously every piece of content created about a business should not have the same exact message, but they should all relate to each other. Brand messaging refers to the underlying value proposition that is conveyed in a company’s content. When buyers think of certain brands, certain intended characteristics arise. It’s important to develop a strong, reassuring safety policy as a commercial contractor. Effectively worded safety policies can instill valuable elements of trust in potential clients and can encourage people to work with you. Ensure that your safety policy is prominently displayed on your website. Last, but not least, on this list is visual design. This is where we excel here at Splendor Design Group. The websites created here leave a lasting impression on visitors and can immediately instill legitimacy to the online presence of any commercial contractor. The designs we utilize are not the “cookie-cutter” templates one can find all over the internet. Examples of our past work can be found here. Any commercial contractor looking to expand their business should look to their online presence first. If these ten aspects of web design for commercial contractors catch your eye, think about expanding the horizon of your presence on the web with Splendor Design Group.